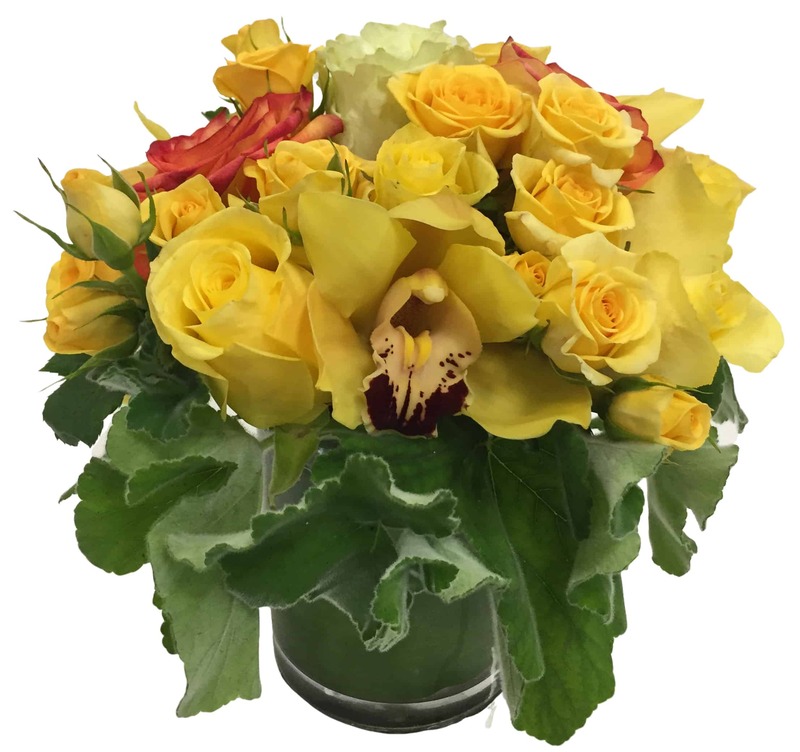 Perfectly named by the Roman God of the Southwest Winds, this Yellow and Peach Rose & Cymbidium Orchid arrangement has an excellent new twist with a green ti leaf on the outside of the vase! This incredibly vibrant arrangement is sure to brighten anyone's day! Be original and send something new to the one you care about!